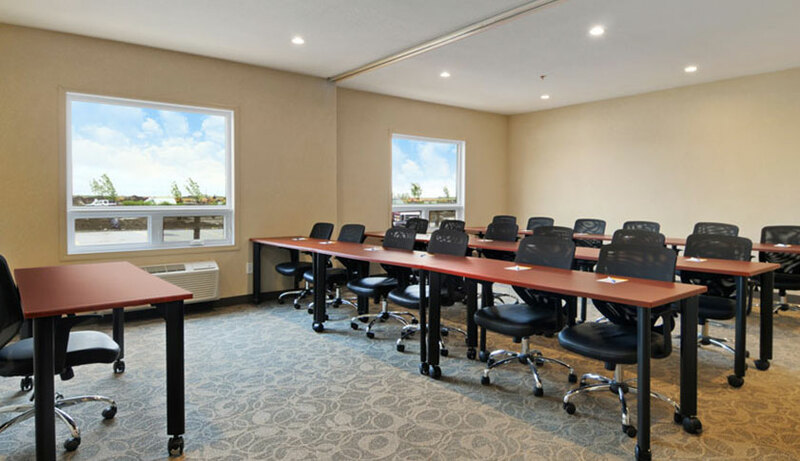 Ideally located close to the Regina Airport, our Regina hotel is the perfect location for your next small business meeting or social gathering. 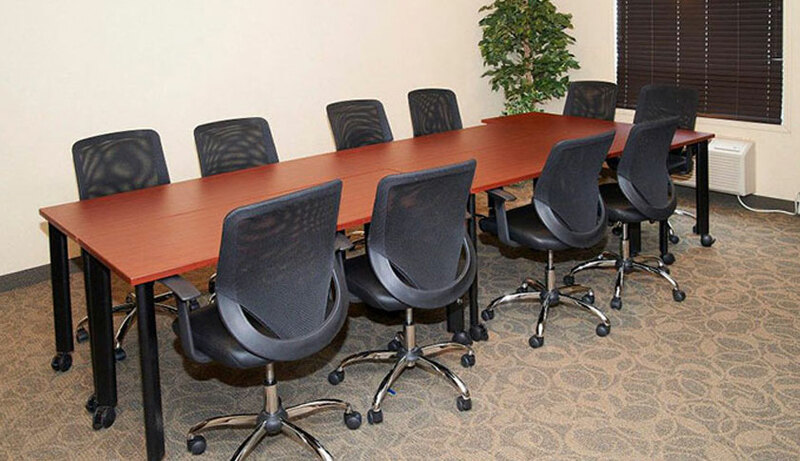 With complimentary Wi-Fi and wired high-speed Internet access as well as extension cords available at no extra cost, we also offer a full range of audio-visual service rentals and and full catering services. Our bright facilities and professional, experienced staff ensures a successful event. 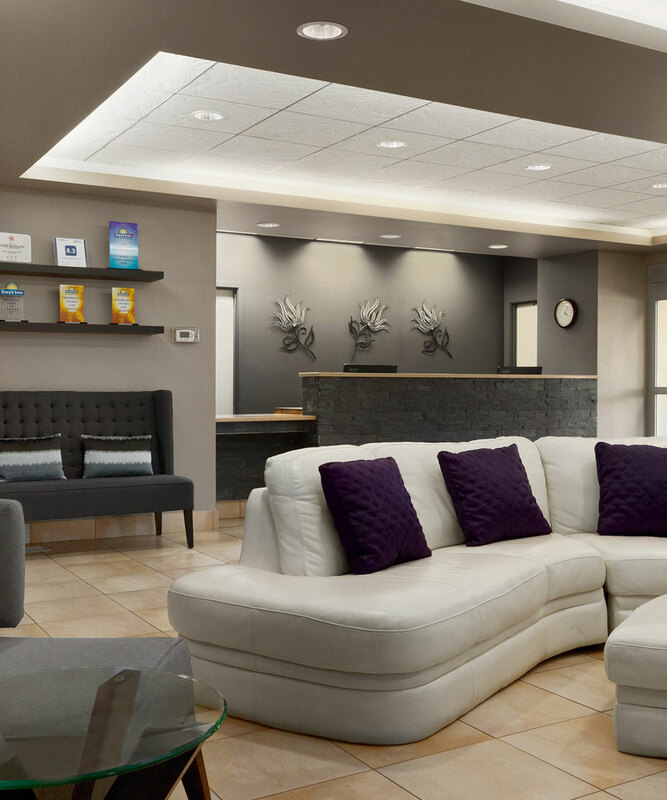 Days Inn Regina Airport West also offers preferred rates for business travellers, as well as group rates for bookings of 10 or rooms. To ensure a positive experience for you and the party following you, we kindly request that you adhere to the start and finish times of your function. The space is only booked for the time indicated, and all personal materials must be removed from the meeting space at the end of each event, unless that space is reserved on a 24-hour basis. Days Inn Regina Airport West requires 48 hours’ advance notice of the guaranteed number of guests attending your function. In the event that we do not receive a guaranteed number, we will use the last number given to us; we will not be able to provide meals for extra guests after that time. Event accommodations at Days Inn Regina Airport West require a valid credit card to confirm the event. An authorization form must be filled out in advance. At the conclusion of the event, charges may be paid via credit card, debit, and cash. If payment has not been provided, the credit card on file will be charged. We will provide a receipt once payment is received. Direct Billing may be set up in advance. Processing of a direct billing account can take up to five business days. A $75 cancellation fee will be charged with notice is given less than four business days in advance of the booked function. If a cancellation occurs less than 24 hours before the scheduled start of the event, you will be charged the full amount, included any booked food and beverage services and audio/visual rentals.